Terengganu State, on the east coast of Malaysia, is known for its golden beaches, clear skies and an emerald green sea with many exciting diving and snorkeling spots. Off the beaten track you will find lots of laid back typical Malaysian villages, ideal for low budget backpacker trips. For the better resorts you can chose between the Primula Beach Resort, the Sutra Beach Resort and the extremely beautiful Tanjung Jara. 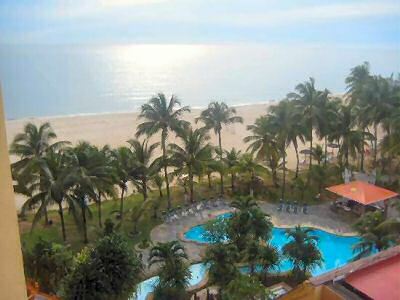 The capital Kuala Terengganu offers the Primula Beach Resort: quit busy and not the cleanest of all beaches. A bit further to the north lies the Sutra Beach Resort: a very peaceful holiday village with a bit more than 100 accommodations and a secluded beach. 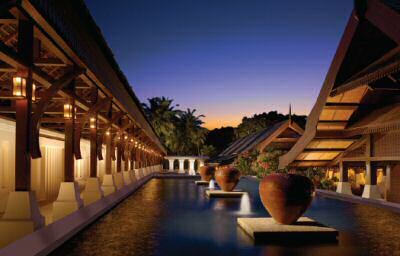 Top of the bill is the Tanjung Jara Spa and Resort - from the luxurious YTL hotels - with a beautiful garden and a river. Close by is the beach of Rantau Abang: 1 of the 6 beaches where the rare leatherback turtles lay their eggs between May and September. For a more relaxing sweet water experience, go fishing at the artificial Kenyir Lake made by the Kenyir Dam. 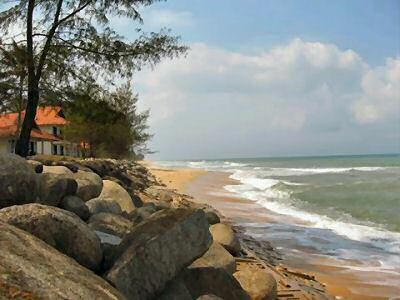 Terengganu is about a hours boat trip away from the popular diving, beach and resort destinations of Pulau Rendang, Pulau Lang Tengah and the Perhentian Islands.